The BBC World Service had a ‘phone-in last night about Gina Rinehart claiming wages are too high for businesses. She had pointed out Africans can be had for $2.00 a day. The discussion was a debacle, with the presenter apparently believing Gina was providing Australia with jobs – NOT that her workers have made her the richest woman in the world and that she has denied the nation its proper share of the rent. 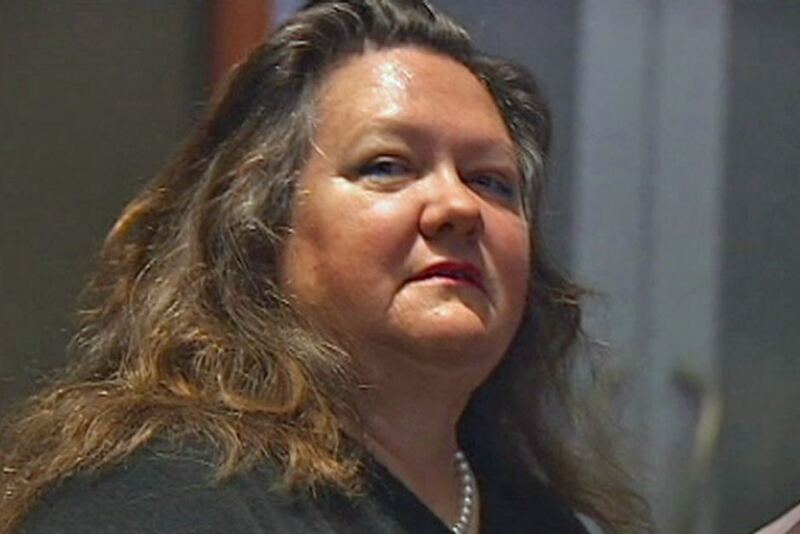 Nobody so much as mentioned that Rinehart’s wealth came from natural resources, and that she’s not paying enough to the people of Australia for their removal. She and her mining colleagues spent $22 million on advertising in order to to stop the 40% resource super-profits (rent) tax – remember? The miners won out and got the RSPT whittled down to the piddly minerals resource rent tax (MRRT). The issue played no small part in Julia Gillard (MRRT) replacing Kevin Rudd (RSPT) as prime minister of Australia. Well, none of these facts got out in the way of all the BBC’s ludicrous calls as the presenter dug himself into an even bigger hole than Gina’s company is able to dig. The most generous light you could put on his performance was that maybe he was promoting Gina’s case as a straw man for the sake of the discussion. It wasn’t until Robert Kuttner from American Prospect Magazine brought a bit of sense to the program by saying that the winding back of real wages in America over the last forty years is partly responsible for bringing the nation to its knees, that a note of common sense was injected into the meandering topic. A healthy economy should NOT be reducing wages, he said. Thankfully, the program ended appropriately with Kuttner saying Gina Rinehart was talking absolute nonsense. 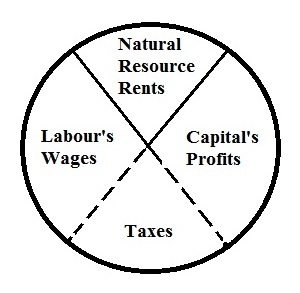 In the following diagram you’ll see if people paid the economic rent (which you and your class of 0.1% try to keep invisible) for the land and natural resource over which they’ve been granted the use and control, taxes on both labour and capital could be reduced. That is, both workers and businesses would be far better off! Get it? But you don’t want that, do you Gina? You want your profits AND our rents! Nice! Does greed know NO bounds, Gina? Now obviously the back end of this may well be that if the rents aren’t available to the miners, that they may go elsewhere where rents are available to them. That has to be ok.
One thought I’ve had is that the cost of compliance with government regulations should come out of paid rents, in the same ratio that those rents are paid. So if a miner is making $1B in profits, and pays $200M in compliance costs, those costs should be deductible, leading to a rent (@40%) of $320M. Gives the government a reason to limit compliance costs.